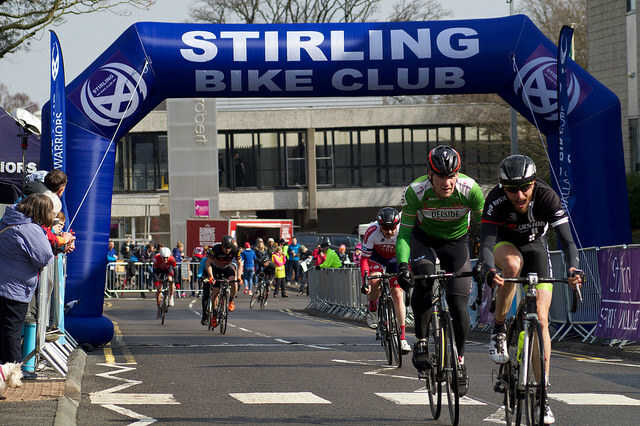 Joe Nally (www.Hardie-Bikes.com) and Shani Bloch-Davidov (Pedal Power RT) were the two main race winners as Stirling Bike Club and the University of Stirling staged another successful Crit on the Campus in Scotland on Sunday 3rd April. The University’s beautiful setting again offered the perfect backdrop for the event, in its third year. With over 350 entries spread over eight races, the programme of racing on a technical 0.8 mile circuit promised to test the riders and offer an exciting spectacle for the crowd. 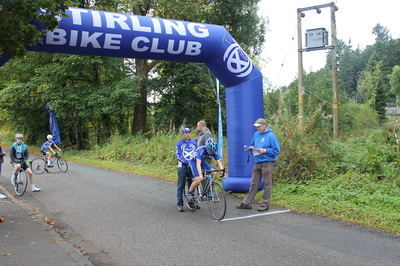 After a series of youth races in the morning, the locals had cause to celebrate, with Stirling Bike Club riders Gary McGuff and Vincent Jozajtis taking the wins in both of the 4th category men’s races which followed. 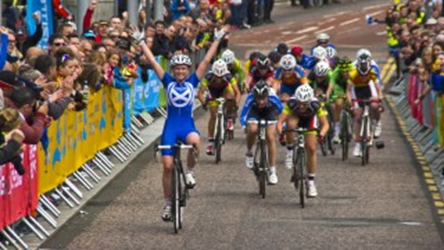 The women's race then took centre stage in the afternoon, with a quality field hoping to take top honours, including Charlene Joiner (Team Ford Ecoboost), Ellen McDermott and Sarah Bradfrord (Team Jadan). Early in the race, Joiner and Bradford broke away along with Pedal Power RT rider Shani Bloch-Davidov. Around 25 minutes into the 40 minute race, Joiner and Bloch-Davidov left their breakaway companion, Bradford, behind, and it was clear these two were going to contest the win. In the sprint for the finish, the two riders were disrupted by the aftermath of a crash in the chasing group, and Bloch-Davidov took the win, with Joiner a close second, and Sarah Bradford holding her third place to the finish. The Olwyn Dobson Combativity Prize was awarded to junior rider Jess Millar (Johnstone Wheelers CC) for a spirited ride in the chasing bunch. 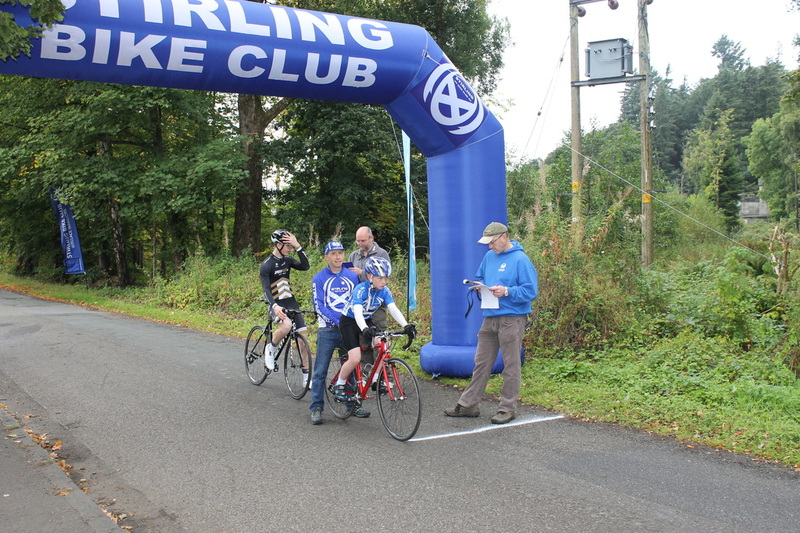 The winner’s name may come as a surprise to regulars on the Scottish cycling scene, as Bloch-Davidov is an Israeli national who has only recently moved to Scotland. However, the fact that she is in the running to represent her home nation at the Olympic Games speaks to her huge talent. 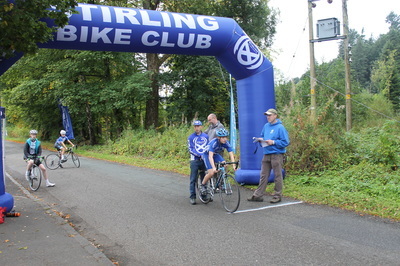 Following the dramatic conclusion to the women’s race, the men’s Elite/1st/2nd/3rd category race rounded off the day’s racing. 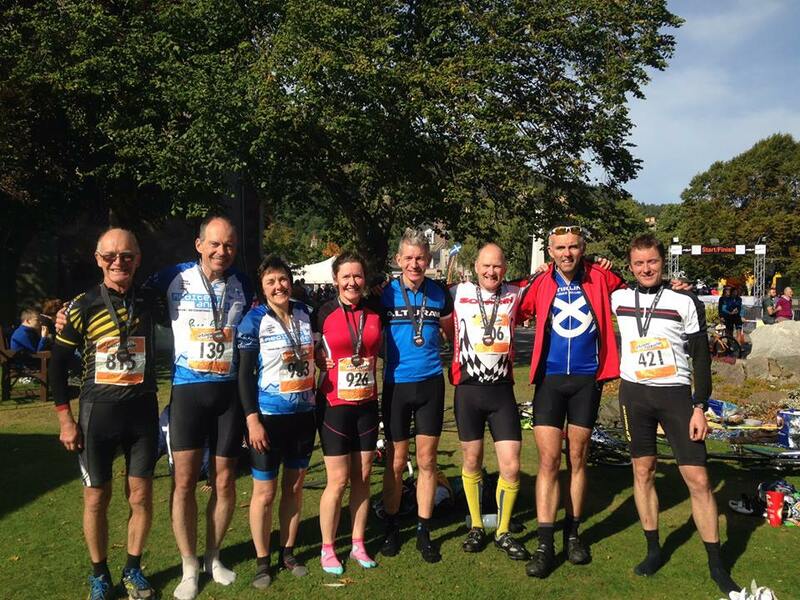 An impressively deep and talented field was led by riders such as Evan Oliphant (Team Raleigh GAC), David Lines (Wheelbase Altura MGD), Steven Lawley (Pedal Power RT), and Phil Trodden, Jack Barrett and Fin Young (all Team Bikehaus by Ridley). Junior riders were also well represented in the race, with Joe Nally (www.Hardie-Bikes.com), Calum Johnston (Edinburgh RC) and Mathias Barnet (Spokes Racing Team) leading the charge. Once underway, the race split up fairly quickly, with a lead group forming after about 20 minutes, with Nally visible at the front of the race, along with riders from Bikehaus and Pro Vison. Local rider Richard McDonald (Pro Vision Cycle Clothing) tried a move off the front with a few laps to go but was brought back by the chasing group. The lead group then stayed together for a sprint finish, with 16 year old Nally amazing the crowd of spectators by taking the win from the experienced duo of Oliphant and Lines in his first adult race as a junior rider. 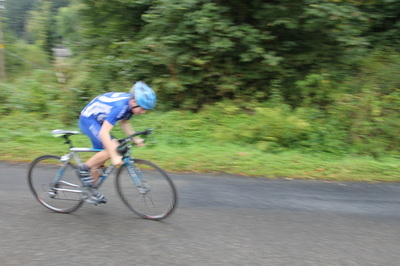 Nally hails from Charlestown, Fife, races for Hardie-Bikes.com nationally and is also currently racing internationally on the British Cycling Junior Olympic Academy Programme, competing against the very best riders in Britain and abroad within the age category of Junior. Spectators leaving the prizegiving at the end of the day couldn’t help but feel they’d witnessed the start of something very special. Stirling City All Stars FC Promote Youth Section! Stirling City All Stars FC are looking for new members! 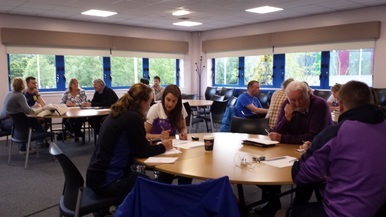 The club provides recreational football for people with physical, learning or sensory disabilities in the Stirling and Forth Valley area. 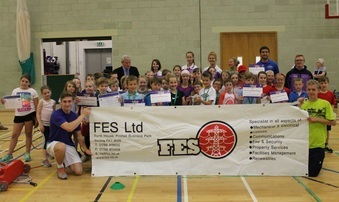 The club have weekly training sessions all year round, and also provide many opportunities to play in football tournaments throughout the UK. 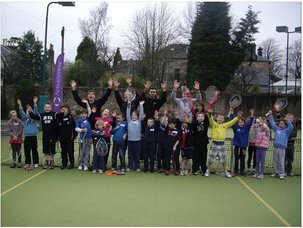 Every session is delivered by experienced and qualified coaches. 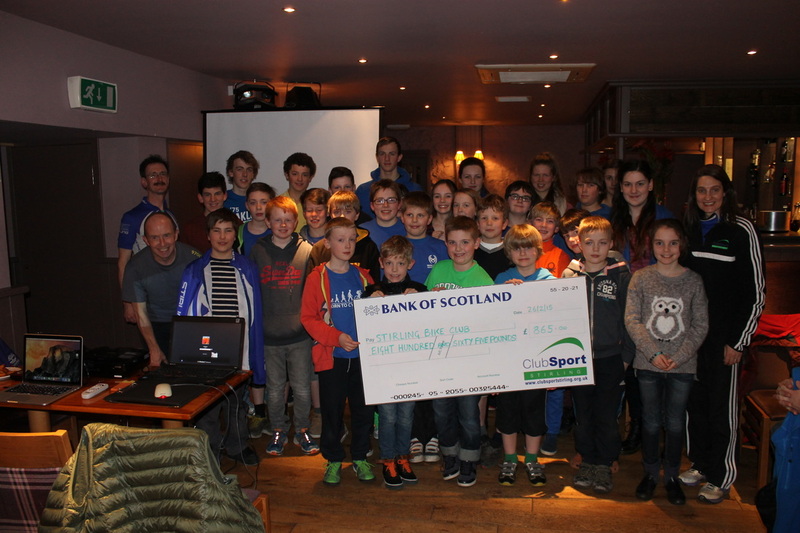 The club are now working towards creating a brand new youth section for 10 to 16 year olds. If you're interested to get involved and require further information please click on the poster on this article or emailing stirlingcityallstars@gmail.com. 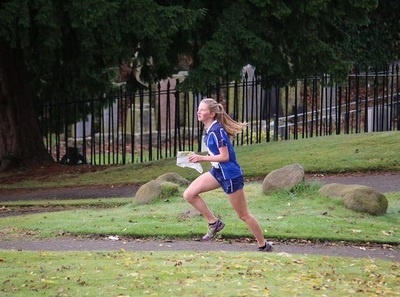 Forth Valley Orienteers have 5 juniors selected to run for Scotland in the Junior Home Internationals taking place in Northern Ireland at Magilligan Sand Dunes on 23rd -25th October. Well done to Grace Molly (W16) ,Peter Molly (M14), Lizzie Stansfield (W14) Claire Stansfield (W16) and Daniel Stansfield (M18). Forth Valley Orienteers travelled all the way south to Aldershot to retain their UK club trophy last Sunday on 14th December. 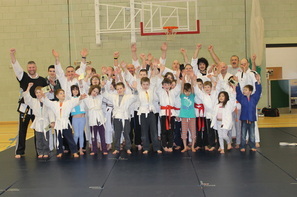 This event was the final of the interclub competition with two sections; the Compass Sport Cup for large clubs and The Compass Sport Trophy for small clubs. 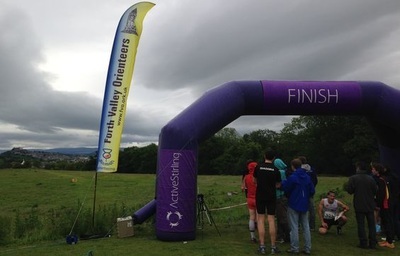 Forth Valley Orienteers have won the Trophy for the last seven years in a row and being a long way to travel it was important to field a small but quality team. 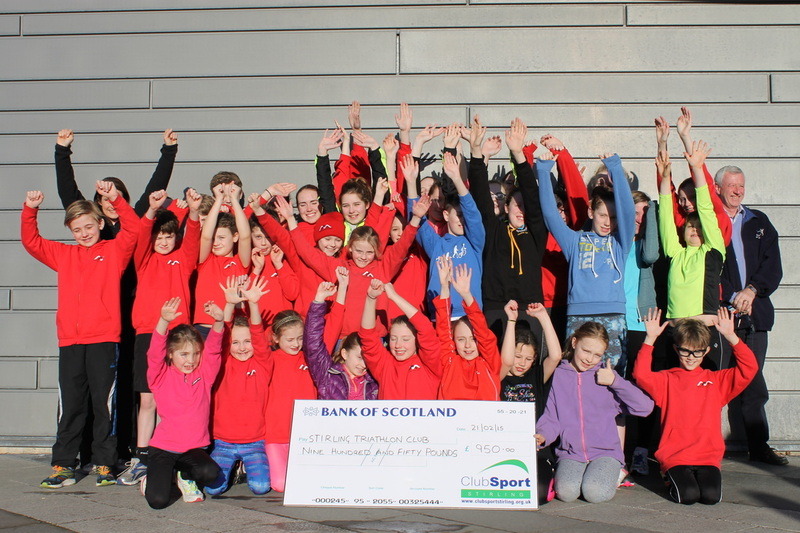 Twenty one athletes in total travelled south (14 on whom flew down and back on the day), from all age groups from under 12 to over 70 years. 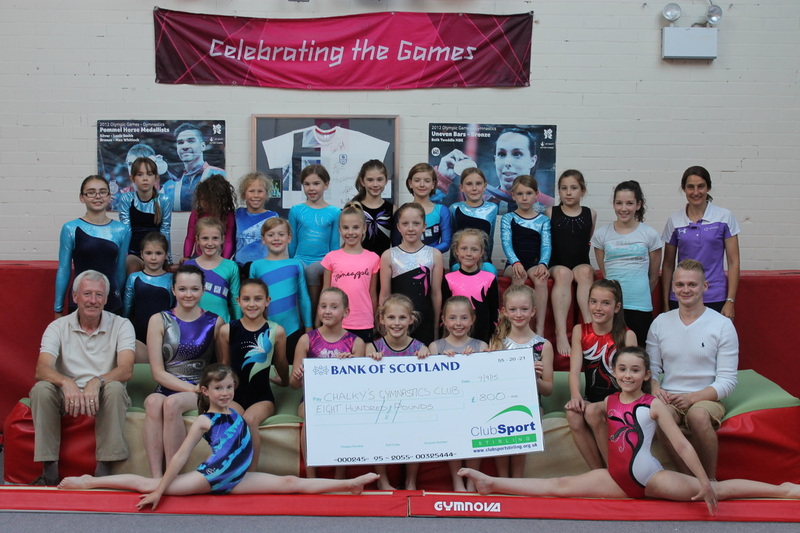 The team all performed to a high level showing the experience and depth within the club. It is the ability to field a high quality team at all age levels that sets FVO apart from other clubs. Having achieved the title for 8 eight years the club will now move itself up to the Large Clubs Section even though the membership still qualifies them as a small club. Next year the club hope to win through the Scottish final in order to go head to head with the biggest clubs in the country in true David and Goliath style. 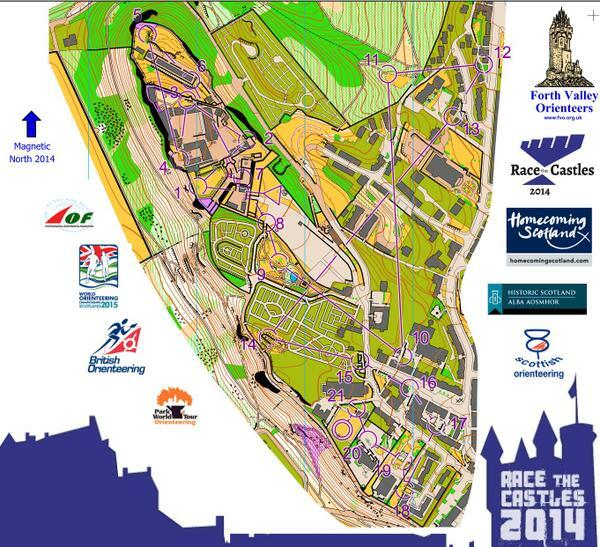 Forth Valley Orienteers Ross McLennan rewarded for excellent course planning for the Race the Castles Event. 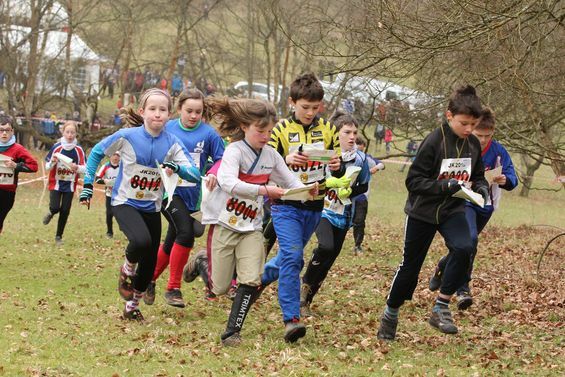 World of O (the worlds leading magazine/news site for orienteering) ran a competition for the best planned courses of 2014. 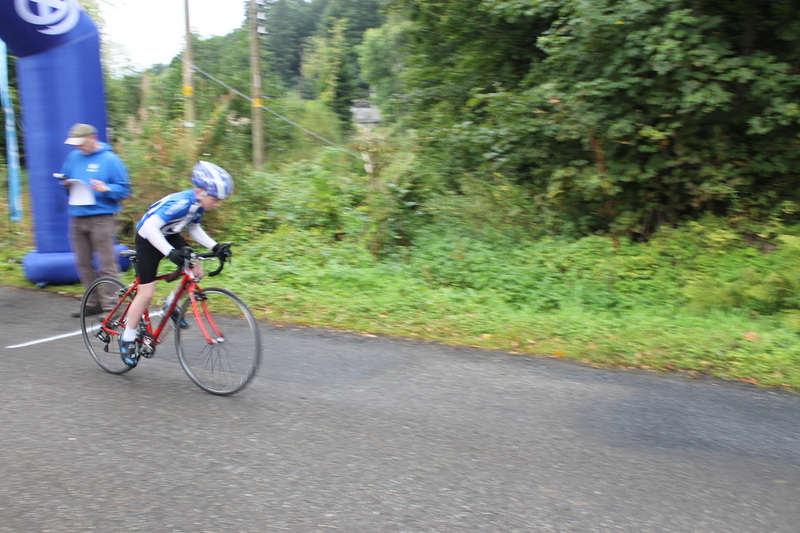 There were two categories Long and Middle /Sprint races. 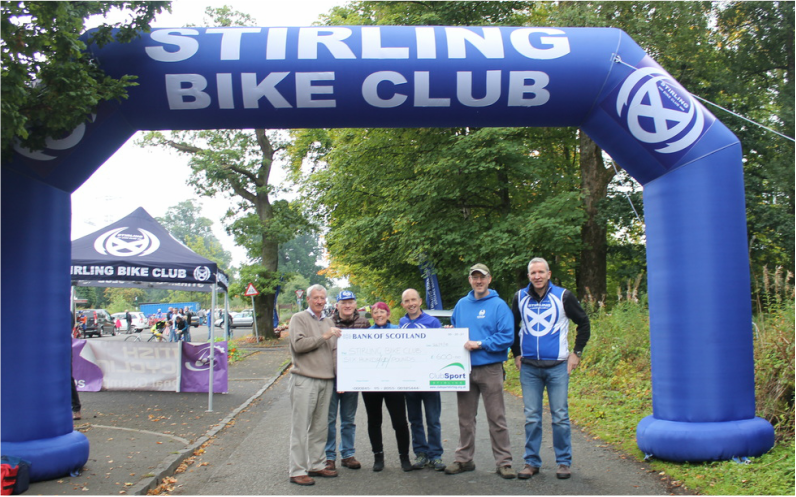 For the Middle /Sprint section Ross McLennan's men's elite course from the Race the Castles event held in October in Stirling achieved 2nd place just behind the World Championship Middle Course from Italy. 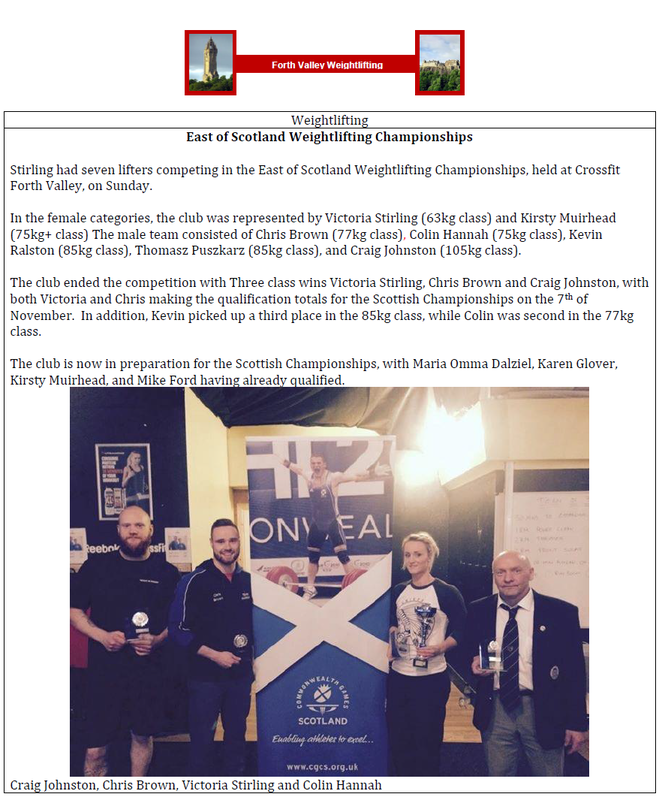 Ross has received many comments from the athletes praising his course planning, however to be voted 2nd best course of the year by the world's top elite competitors is an excellent achievement. 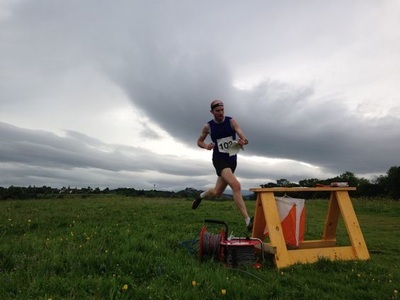 This years World Sprint Orienteering Champion Soren Bobach from Denmark said the 'Race the Castles in Stirling is definitely one of my favorites this year. The reason why I chose this is because it had so many good elements. We started out in the castle of Stirling with a lot of tricky legs where you really had to find the right balance between running fast and reading the map. Later on in the course there were some good route choice legs. 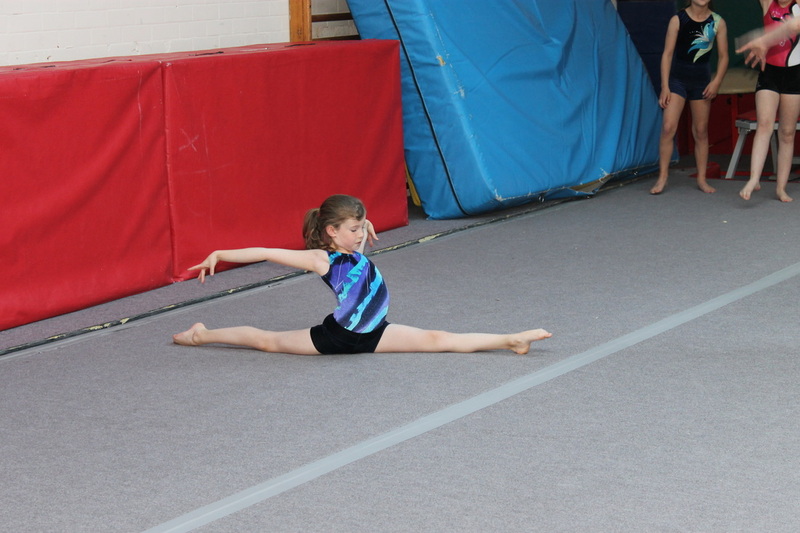 Especially the last long leg was tricky. I had to use a lot of time to find a route. So overall I think it was a great sprint and really awesome to run in the castle'. 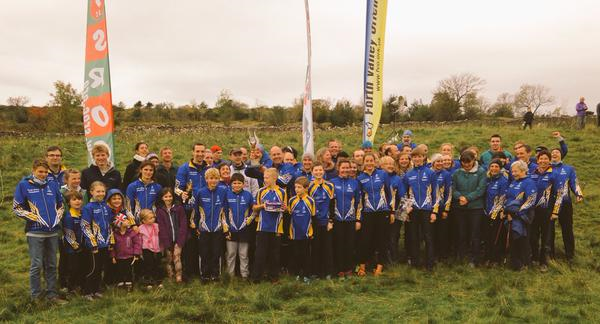 The long journey south to the second UK Relay League race of the year was well worth it for the dedicated FVO team; with a dominant overall victory for the men and a first ever win for the ladies. Will Hensman was chosen to lead off the strong FVO team, handing over to club captain Jon Cross to chase down the leading Nottingham runner. Jon handed over to FVO's secret weapon; former World Champion and current British number 1, Graham Gristwood. Graham put in a typically world class performance of controlled but aggressive orienteering, to complete the 10km course in the dark of night. It was then the turn of Irish international Marcus Pinker to consolidate the team's now 13 minute lead. This he did with aplomb, with the fastest time on his 8km leg 4 course. Ross McLennan was next up on the challenging 10km dawn leg - starting in the dark, finishing in the light, testing not only night and day navigation but adaptability too. Jon Marsden was able to put in a similarly safe performance on the sixth leg and then club president Roger Goddard brought home the bacon with another steady performance for Forth Valley's third Harvester victory in six years, almost certainly the most comprehensive yet. 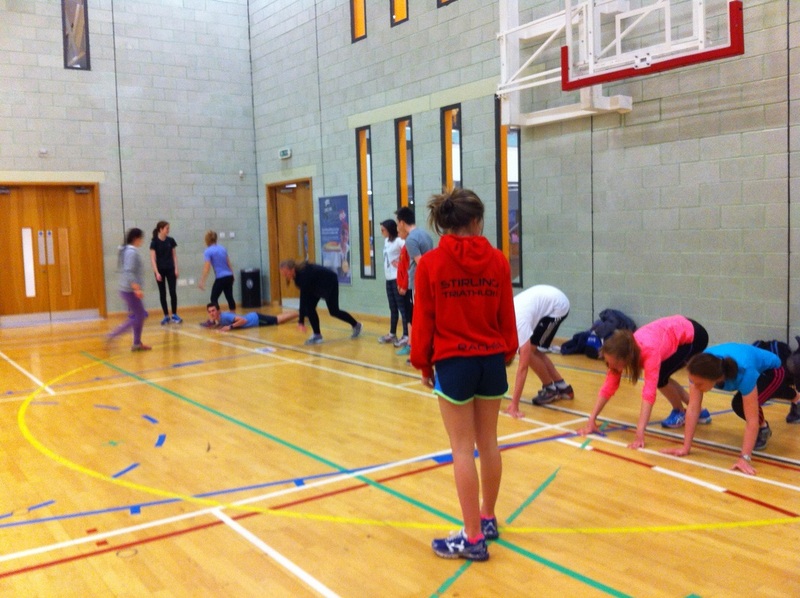 In the competitive ladies race, FVO were fielding a strong team, but it was very much anyone's race. 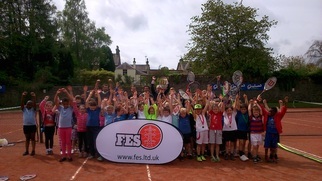 Scotland team stalwart Fiona Berrow kicked things off for FVO at 1.30am, handing over to Janine Inman. Frances Brown then had a storming run on the short leg and pulled the team through into the lead, with Rosalind Hussey keeping the team in the mix on leg 4 with an exciting battle with Southdowns, first losing and then regaining the lead at least once. It wasn't much of a lead though that she gave Hungarian international runner Fanni Gyurko - only 20 seconds after four hours of running! 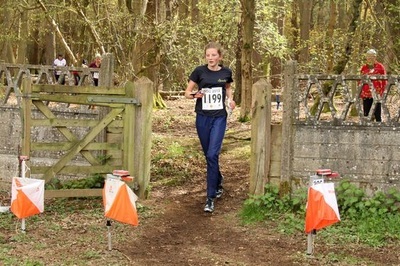 However, Fanni continued her great form to stretch the lead to a huge 8 minutes and earn FVO a first ever victory in the ladies category of this great race. 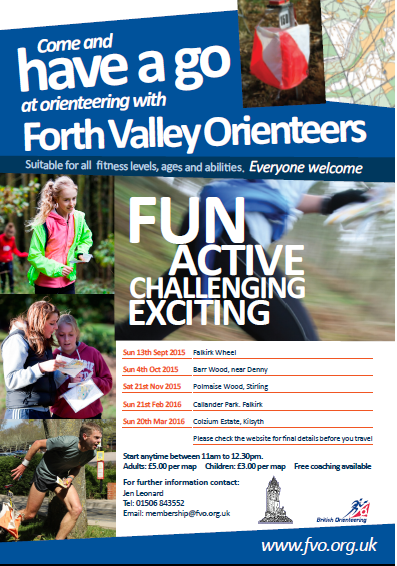 This spring there is a series of fun local events every Wednesday evening – find out more on website www.fvo.org. The next event will be taking place at the Laigh Hills in Dunblane on Wednesday 28 May. 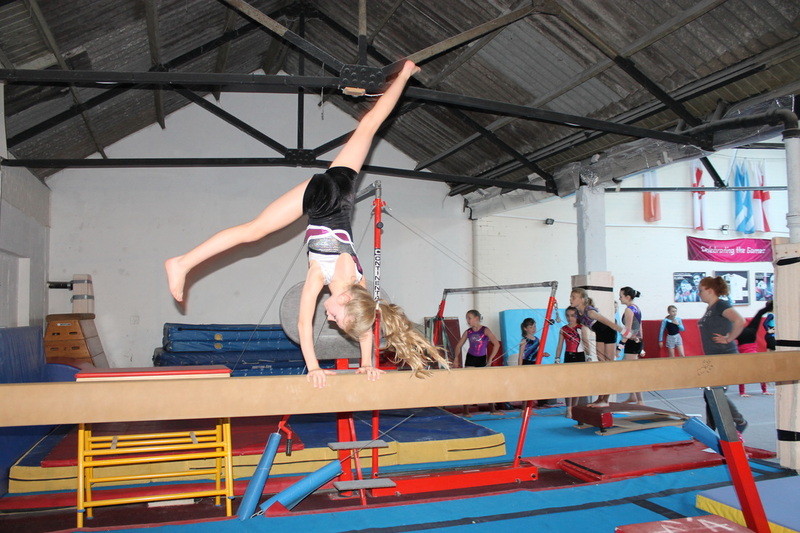 £5 for adults and £3 for kids – please come along, all welcome and coaching for beginners is available.